If you think Polich Excavating only installs septic systems, think again! At Polich Excavating, we offer Door County a complete package for excavating, dirt and driveway work. One call to 920-493-7043 is all you need to set up a free consultation for your digging and grading needs for your new home, business, addition, driveway or private road. Only in Door County on the weekend? No problem. Owner and operator Tony Polich is happy to schedule consultations on Saturdays and Sundays. Weekends tend to be the only days Tony is not working at a site himself. Tony Polich has been digging Door County since 1985, so he’s an expert at looking at a site and evaluating the soil and rock. He’ll recommend the best foundation for your site and will take the best approach — digging, rock hammering, and blasting — to get the job done. 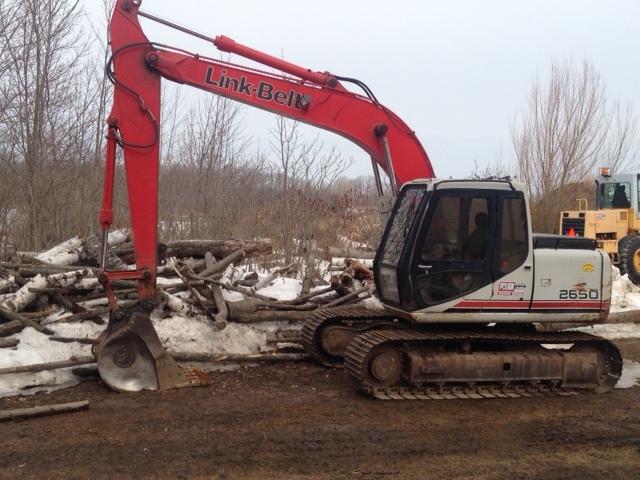 The excavating crew is composed of local residents who are knowledgeable of Door County terrain. They also are experienced machine operators. After a home or business is built, Polich Excavating is back at the site to start your lawn. They spread screened topsoil, grade, lay seed and blow chopped straw over the top, with the goal of creating a green and lush lawn you’ll enjoy for years to come. No job is too big or too small for Polich Excavating. Building a garage or adding onto your home? We’ll provide the whole package of excavation and dirt work, plus we’ll line up a contractor for concrete work. Door County has its share of gravel driveways and private roads. Municipalities no longer grade the private roads in subdivisions, and these roads can quickly become bumpy and pocked with potholes. Don’t wait a few years to call Polich Excavating to smooth out your road! Adding gravel and grading private roads and driveways every year is the most cost effective way to maintain them. Let Polich Excavating help with all of your excavation and grading needs. Give us a call today, 920-493-7043.